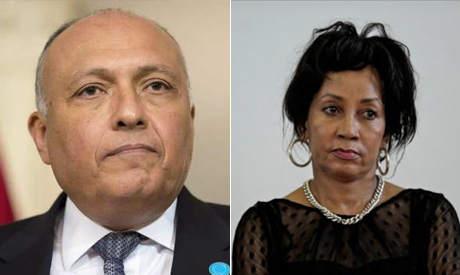 Minister of Foreign Affairs Sameh Shoukry and his South African counterpart Lindiwe Sisulu reviewed Sunday issues of mutual concern and the latest developments in Africa. This came during a phone call Shoukry received from the South African minister as part of joint coordination between Egypt and South Africa. The two sides discussed the current situation in Libya in light of Egypt's central role in Africa.